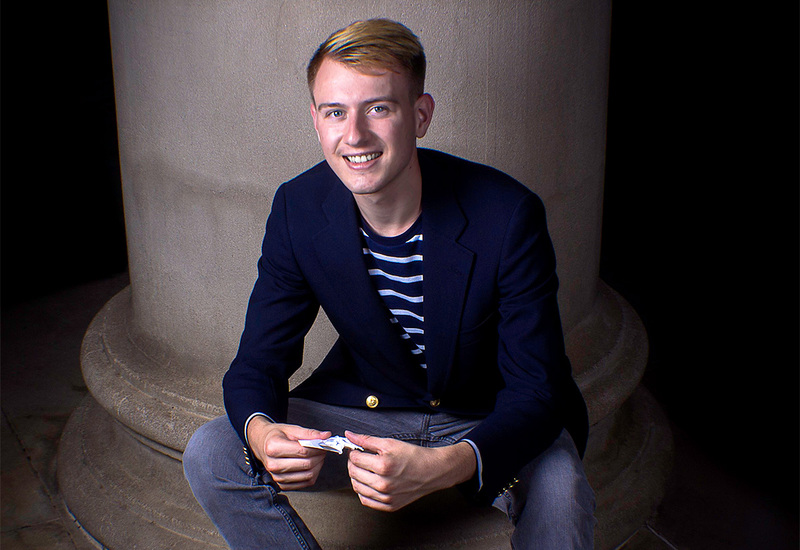 Lawrence Beall ’16 fell in love with origami as a wide-eyed 5-year-old folding his first paper crane. These days, his relationship with the centuries-old art form is a lot more complicated. The 22-year-old has just published “Neo Origami: An Ancient Art Reborn,” a 129-page manifesto for transforming a creative practice nearly as old as paper itself. The rules that define origami, Beall says, also hold it back. It is Beall’s dream to break those rules and unleash what he sees as origami’s true potential. At its most basic, origami involves folding a single piece of paper into an intricate shape. Cutting is not allowed. Adhesives are prohibited. From the mid 20th Century on, much attention has been paid to the mathematics of the pursuit. If there’s a word that defines Beall’s pursuit of origami, it would have to be “freeform.” At the heart of neo origami is Beall’s belief that anything can be folded, that folds in nature are just as much a part of origami as the most precisely folded paper crane or star or praying mantis. “Temple of Neptune” at the Riverside Museum of Art. Beall features a massive work called “Temple of Neptune” in “Neo Origami.” The erstwhile chemistry student created the installation during a stint as artist in residence at the Riverside Museum of Art last spring. The piece, which was inspired by architect Julia Morgan’s Neptune Pool at Hearst Castle, was folded by hand using 1,500 square feet of woven aluminum mesh. Suspended in an inner courtyard, it floats down for 22 feet, a kind of ethereal mobile with five gossamer pillars surrounding a sprig of silver mylar leaves. Beall knows a thing or two about breaking free of normal restrictions. He changed his major 10 times, exploring nearly every pursuit Claremont McKenna College offers, an academic investigation he says informs his art. “I did Science and Management, biotech; Science and Management, physics; Science and Management, chemistry,” Beall said. “Then no more Science and Management. Then I did art conservation, which is chemistry, anthropology, art history, studio art, and sociology all together. Chemistry and science are a big part of his art career, Beall said, because he creates many of the materials he uses in his artwork. His humanities coursework — particularly a class that focused on Greek tragedies and epic writing — has also shaped his work. “The fact that Claremont McKenna College is so open to allowing you to change majors and allow you to do whatever you want, be as free as possible, while making sure you stay on track to graduate” has been a boon, said Beall, who is applying to law school.